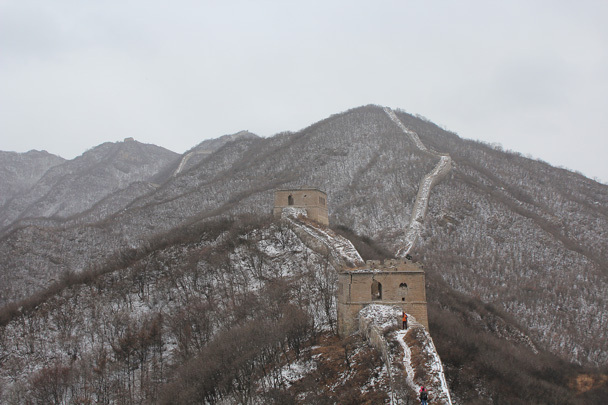 In Brief: Nineteen photos from a hike along the middle route of the Switchback Great Wall on a windy and snowy day. 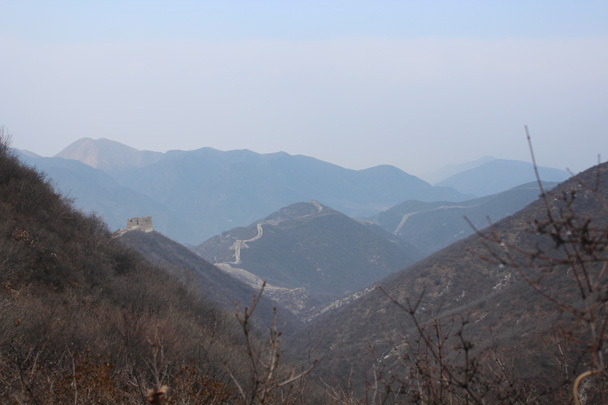 The Switchback Great Wall is one of our favourite places for escaping the crowds and tackling some challenging climbs. 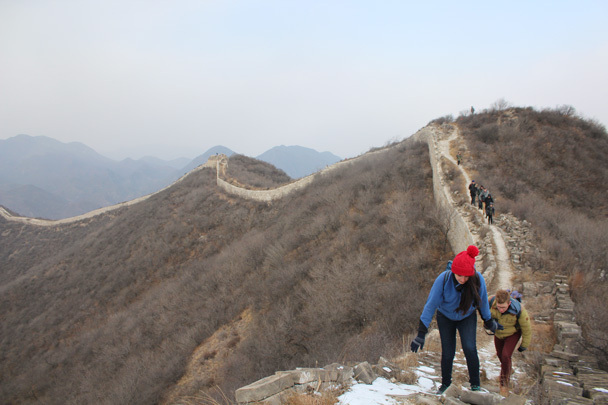 Because we travel out past the very popular tourist sections near Badaling, we are left with an unrestored stretch of the Great Wall all to ourselves. 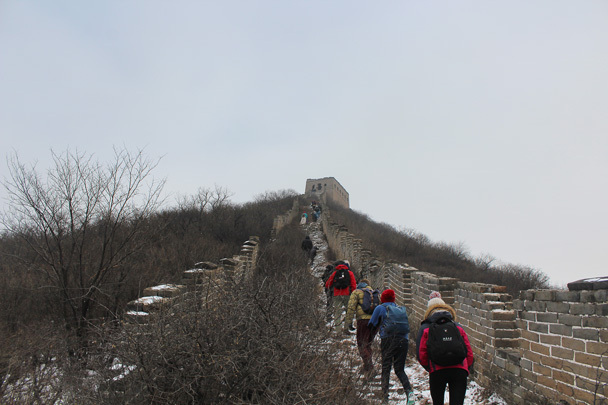 For today’s hike we followed the middle section of the Switchback Great Wall, which meant we kept some of the good climbs but skipped the really steep parts that make the full route such a tough hike. 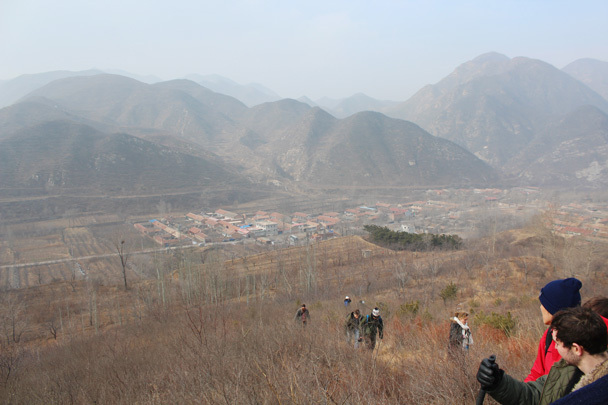 The hike started off at a little village, where we would later return for big late lunch. 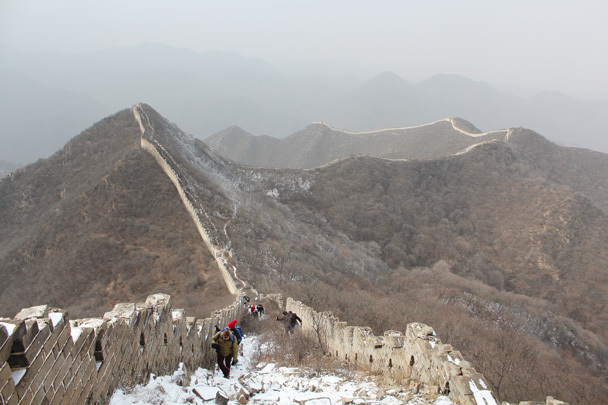 We followed a dirt trail up to the wall and then walked the wall towards the General’s Tower, the highest point of the hike. 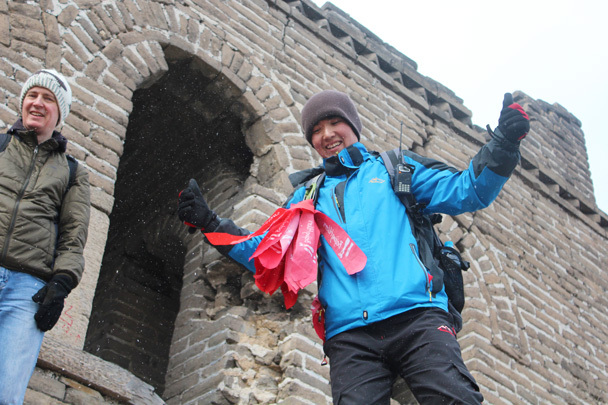 After reaching the General’s Tower the weather changed for the worse – snow and strong winds – so we didn’t rest for too long before we continued our hike. 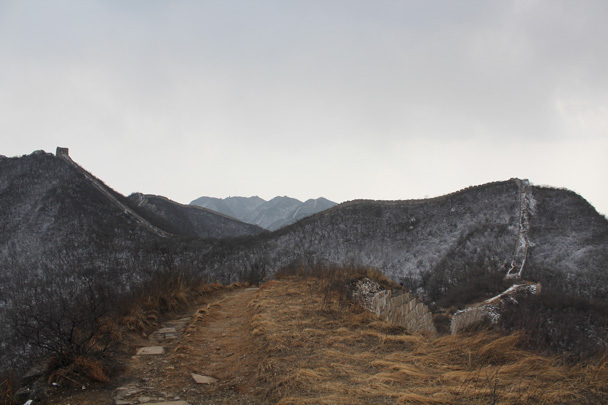 We headed down along the Great Wall and then followed a valley trail back down to the village. 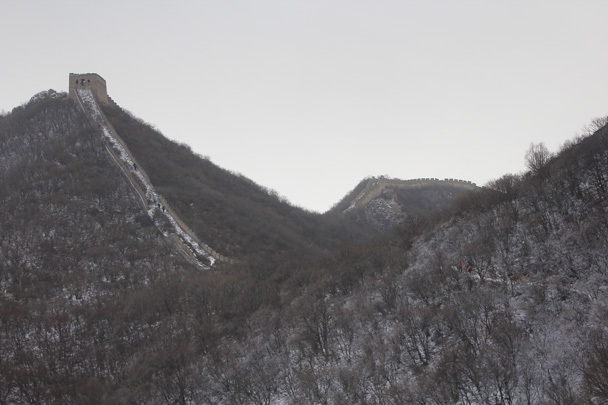 The views from the wall were really impressive and the snow made it look spectacular. Check out all the photos below! 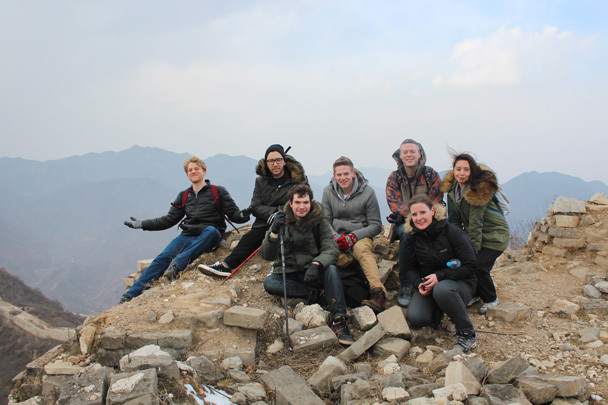 We climbed up a big hill to find the Great Wall. Looking back towards the village where we began the hike. 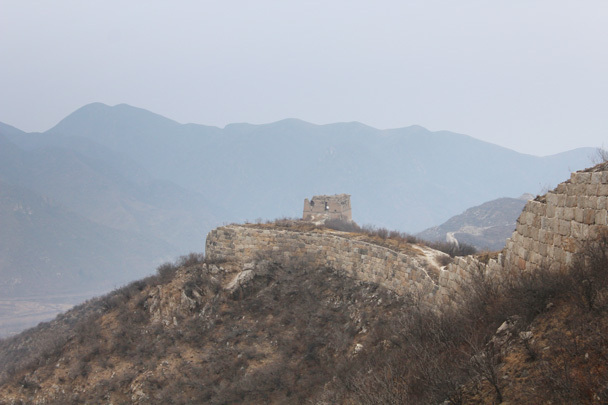 Unrestored Great Wall, with a Ming Dynasty-era tower. There was a little bit of snow left over from the day before. We could see the wall rolling on and on along the ridgelines. 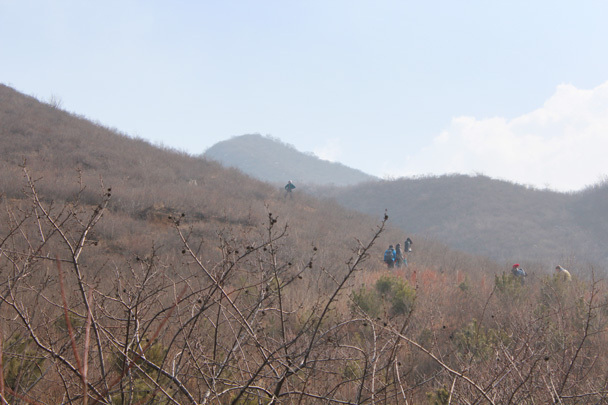 We hiked along overgrown and sometimes tricky terrain today. Stopping for a break atop the remains of a tower. 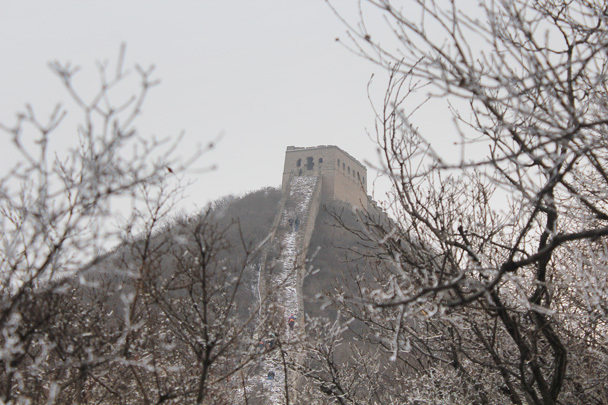 We continued along the wall, heading towards the General’s Tower. The General’s Tower can be see at the top left of the photo. 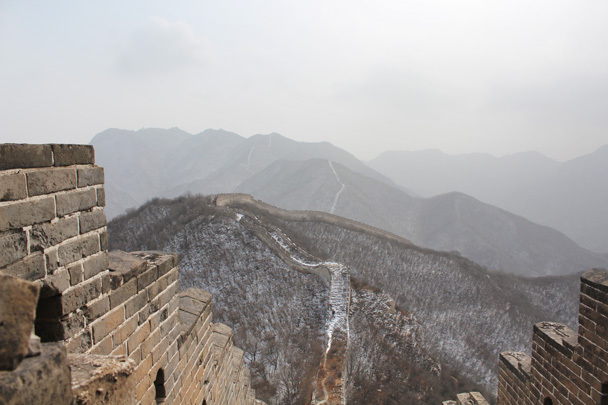 The General’s Tower is the highest point of this part of the wall. 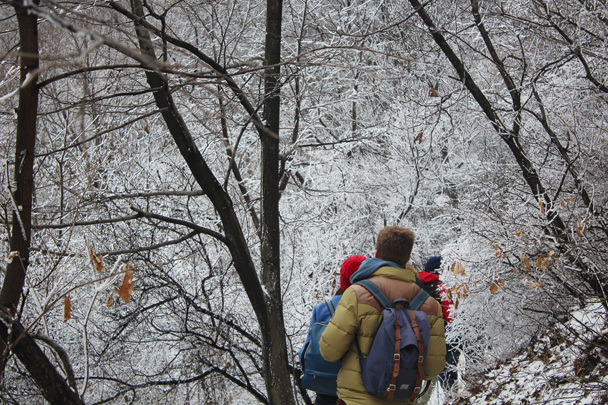 This detour around a broken section of wall took us through trees frosted with ice. Looking up at the General’s Tower from amongst the trees. 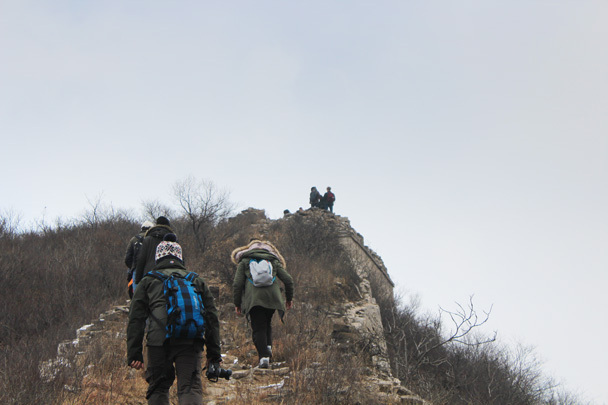 We took our time for this climb – slippery and steep. The view back the way we came. Another view from the top. What you can’t see is the howling gale! It began to snow a little. Michael’s verdict on the snow: two thumbs up! 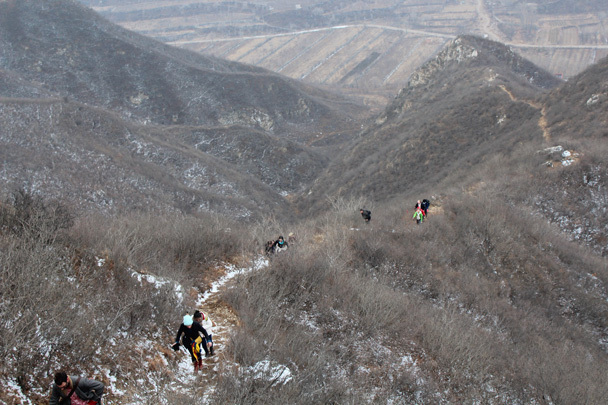 A difficult section, as only a narrow and steep path remains. The two last towers on our trail. 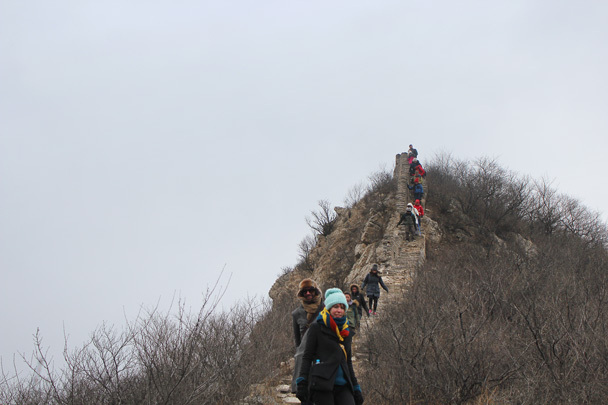 In Brief: See 14 beautiful photos of a hike to the Huanghuacheng Great Wall – blue skies, green hills, great views.